The Most Gigantic Teddy Bears to Cuddle with! I just couldn’t believe a teddy bear could get so big! I loved snuggling with him every chance I got! *This is what I’m talking about fellow giant teddy bear lovers! A very cuddly life-sized soft plush teddy bear to hug any time you want! Isn’t he the most adorable giant plushy thing you have ever seen? 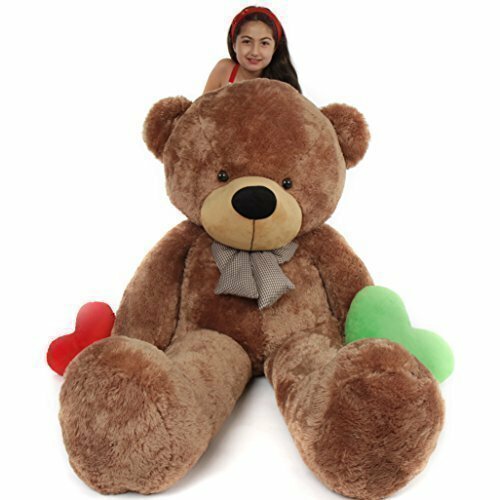 They are perfect Valentine’s Day gifts and trust me, if you have a little girl, I am sure she would also LOVE to have a giant teddy bear in her bedroom to cuddle with! Giant WHITE Teddy Bear for Sale! He is as white as milk, as soft as butter, as friendly as a puppy, as big as a very tall basketball player and as silent and wise as a monk, and very, very huggable! If you thought ‘gigantic white teddy bear’, you are right! He is one of the friendliest and most adorable giant teddy bears around! He LOVES long hugs and he is a great listener! You can tell him all your problems and he won’t tell a soul! *Watch this girls unboxing her new GIANT teddy bear! 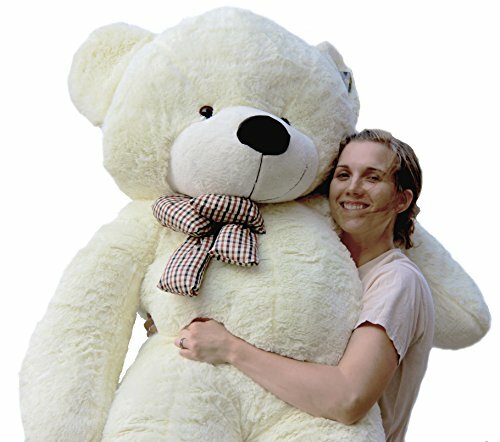 Tallest Teddy Bears for Sale! If you are looking for the tallest teddy bears for sale around, meet this impressive giant black teddy bear! He is 8 feet tall! 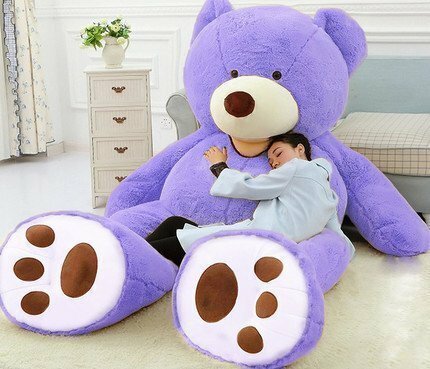 Adorable 8 Feet Soft Gigantic Purple Teddy Bear for Sale! A child sleeping on a soft giant teddy bear! I love his lavender color! Very Cute and FUN Jumbo Plush Teddy Bear! How can you not immediately fall in love with these big teddy bears? I love his beautiful light caramel color too! 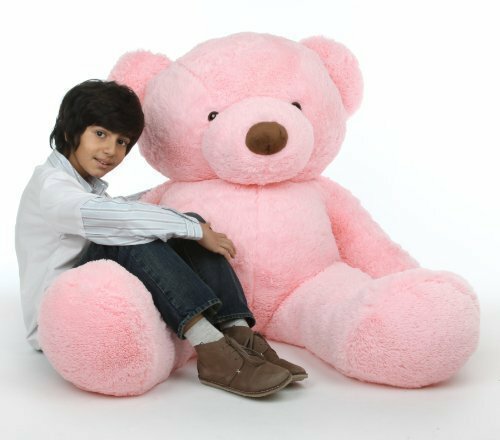 Cute PINK Giant Plush Teddy Bear! I would never forget to include a cute giant PINK plush teddy bear here! Needless to say he will make a wonderful birthday, Valentine’s or Christmas gift idea for someone you love and appreciate very much! 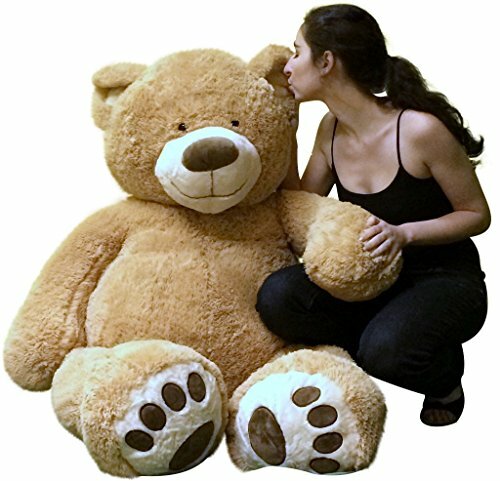 Cutest Gigantic Teddy Bears for Sale! 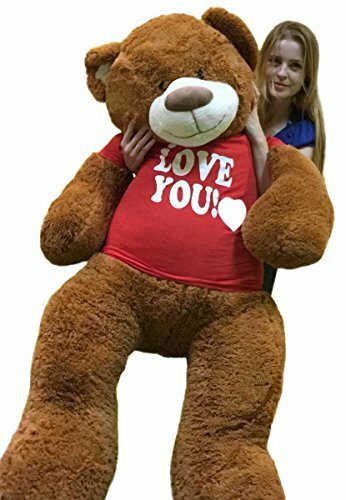 If you are looking for the cutest huge teddy bears being sold, I think you are going to LOVE this soft giant! Every time you see him in your bedroom you will also smile, because you’ll know you’ve got a friend for life! He will make an amazing gift! I Love You Giant Teddy Bear! Well… this adorable cinnamon color giant teddy bear wearing a cute ‘I Love You’ red shirt says it all! And you will love him back forever and ever! 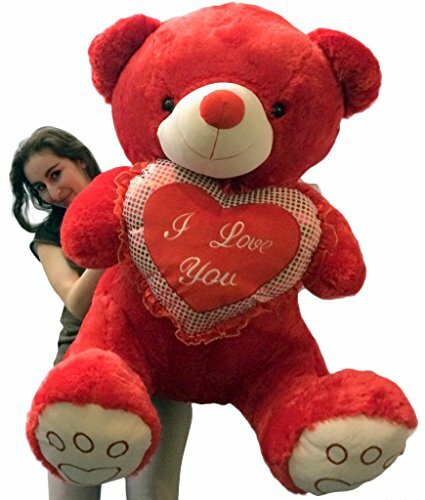 Giant Soft Valentine RED Teddy Bear! with I LOVE YOU Heart Pillow! If you are looking for the perfect Valentine’s Day (or birthday) gift idea for her, look no further! You will melt her heart when she sees you carrying this giant RED teddy bear in your arms! 8 Feet WHITE Teddy Bear! Another huge life-sized very soft WHITE teddy bear for sale! He is as white as snow! 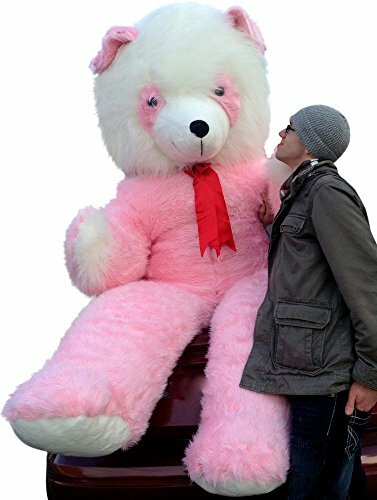 And here is another cute and very unique pink and white gigantic teddy bear for sale! Now, do you want to meet their best friends? The Most Impressive Giant Stuffed Animals!